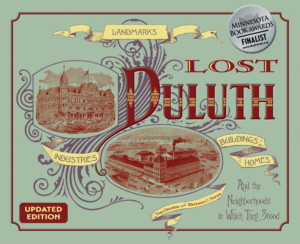 Duluth’s eastern neighborhoods—New London, Lakeside, and Lester Park—developed in the 1880s and 1890s as residential townships. The New London School was built on the northeast corner of Regent Street and Forty-Sixth Avenue East in 1889 but closed five years later. The school was sold to Bradford C. Church, who had the building dismantled and reconstructed at 5217 London Road as a private home; it stands there today. The New London students moved to Lakeside School at 4628 Pitt Street. In 1993 that school was sold to St. Michael’s Catholic Church and now serves as the church’s school. 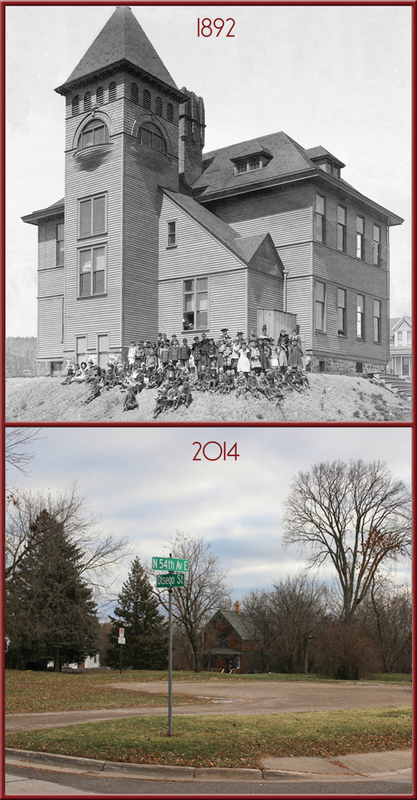 In 1892, Lester Park School was built at 5410 Otsego Street. The two-story frame building featured a three-story tower. Later images indicate the building was remodeled at some time, and the tower was lost. 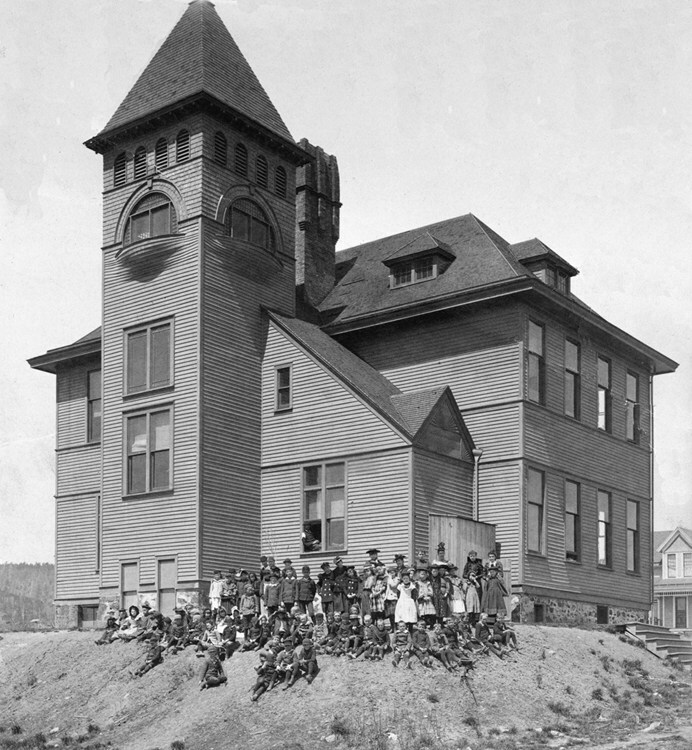 When New London, Lakeside, and Lester Park merged with Duluth in 1893, the school became part of the Duluth School District and served grades one through six until 1918. It was sold to the City of Duluth, which demolished it in 1925 to make room for the Lester Park branch of the Duluth Public Library, which later became the Lakeside and Lester Park Community Center.